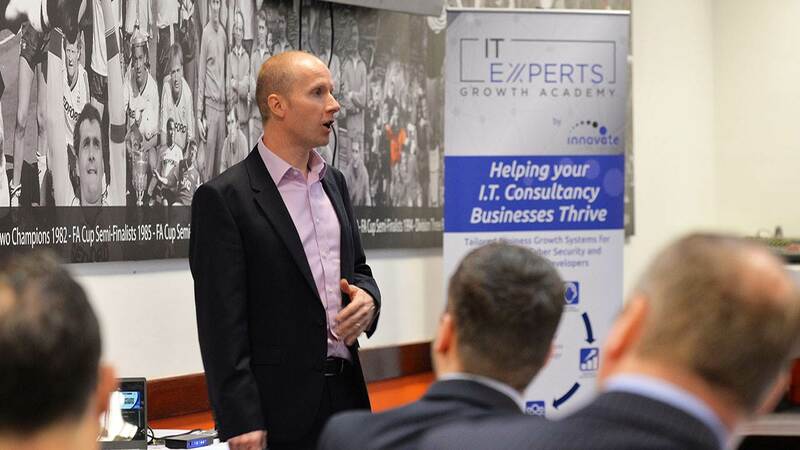 Following the success of Business Experts, IT Experts provides bespoke business support to enable you to focus on your IT / MSP Consultancy Business Growth Plans. If you are in Technical Support, Cyber Security or Software & Web Development, you probably used to be an Expert Consultant yourself and now you run your own business. Running an IT / MSP Consultancy is not as easy as it looks. With the never-ending clients demands that keep changing, having to manage experienced and expensive people, let alone having to put 100 hours a week in because stuff just gets in your way! At IT Experts, we help you take back control of your business. We do this by deploying our model as below. Simply put, it is our Straight Forward Strategy System and is broken down to show you the key elements to shortcut your route to business growth success. Now, IT Experts is NOT a get quick rich scheme and it also isn’t an “Out of the Box” business coaching model. We deploy our tried and tested DRIVE for Business model which is specifically tailored it to the challenges that you face as an IT Expert. This help you keep your feet on the ground and not in the Clouds!. The ultimate outcome that we get our clients is basically getting your life back. We help you focus on what really matters to you and your business which will ensure you work less hours and earn more profit. Business improvement is not about throwing a inexperienced sales force at your customers, its cleverer than that. Simply by helping you “Know your Numbers” means that you are one massive step ahead of your competitors on day one. How does it work for IT Experts? All of our Systems been developed using my 20 years ‘experience in Senior Commercial, Business Development and Leadership roles to bring to you our Straight Forward Strategy, that simply just work your IT / MSP Consultancy Business to obtain rapid growth and control. Below are the 5 Key Steps of our IT Experts System that will help you get your life back and take your business to the next level. Click on the one that is causing you sleepless nights! If you are still reading at this point, then when let’s connect to find out how you can take your IT / MSP Consultancy Business Growth to the next level? Let’s have a chat, I offer a FREE (no obligation at all) 20 Minute Business Review so we can get to know each other better.